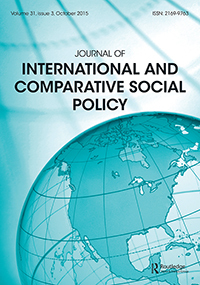 ABSTRACT: This paper argues that while social policy as an explicit aspect of policy discourse has relatively recent origins within the international development agenda, concerns with “the social” have featured from its very early days seeking to challenge the conflation between growth and development. The paper focuses on key international conferences and policy documents to analyse contestations over the meanings of “the social” within development policy discourse and their efforts to rethink its boundaries with “the economic”. It suggests that these contestations have helped to spell out the basic outlines of an alternative policy agenda in which concerns with “the social” have come to define both the means and ends of development.